The 2016 Martial Art Promotion Convention took place at the Constitution Memorial Center in Chiyoda, Tokyo on March 2nd, Wednesday. 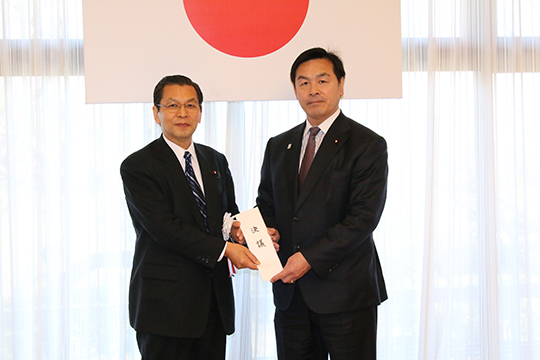 The three organizations that sponsored the convention were the Parliamentary Association for Martial Arts, the Japan Martial Art Council, and a public interest foundation, Nippon Budokan. 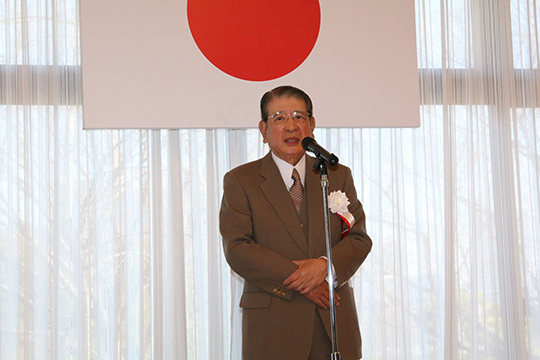 A convention resolution, incorporating requests for martial arts as a required subject for junior high school students and for support to martial art facilities, has received unanimous approval, which has been handed to Mr. Hiroshi HASE, the Minister of Education, Culture, Sports, Science and Technology. Thanks to this resolution, karate gained backing from the three hosting organizations and nine martial art organizations toward an official Olympic sport. In regard to this, Mr. Takashi SASAGAWA from Japan Karatedo Federation stated, “Aiming not only for the 2020 Olympics and even after those of 2024, we would like to request to please assist us until and after it becomes an official Olympic sport. Also, it would be great if karate would be included in the martial art subject of the junior high school curriculum guidelines”.